Our last Outer Circle Tour for this year – AH! Yes, we’re afraid that we have taken our last Historic Bus Tour around Birmingham’s famous Outer Circle Bus Route for 2012. We almost had a bus full, just fell short due to a few potential passengers being “indisposed”. However we are sure that they will join us next year when our tours resume. We had a good bunch of passengers including eight ladies wearing Red Hats who created a splash of colour and a lot of chat on the top deck. Colin Grice and John Field dipped into their pockets to win the auction for the coveted front seats upstairs. Well done to everyone on the bus who stumped up a total of £100.00 which will be donated to our chosen charities, Asthma UK and the Wythall Transport Museum. We must give a special thank-you to passenger Chris Alcott who very kindly gave a bunch of flowers to Pam as a mark of appreciation for her day out. But now it’s time for our trusty (that’s trusty not RUSTY!) bus no 2976 to be tucked up for the winter and undergo a thorough overhaul. 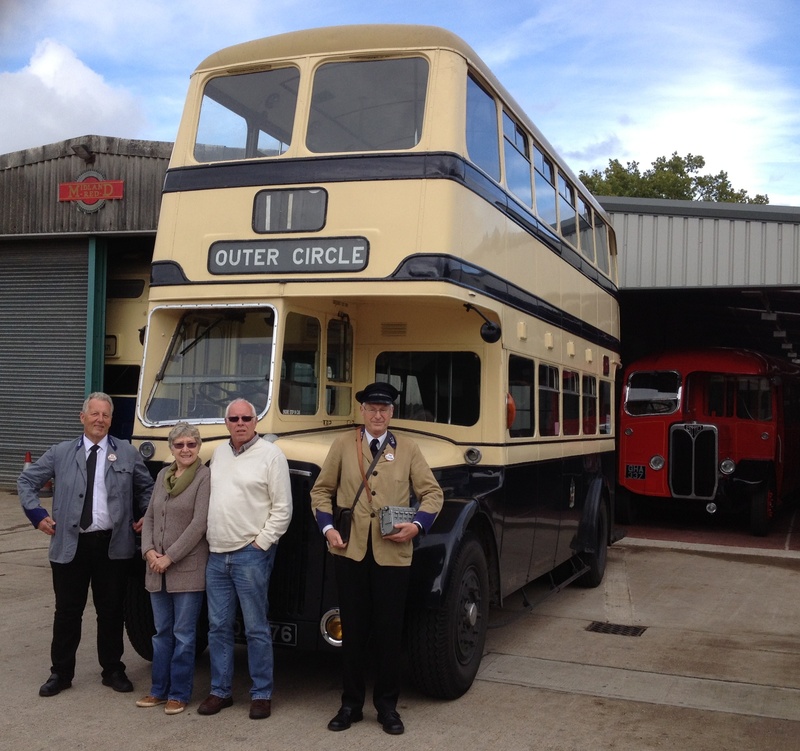 So Pam & myself are now setting about planning our Historic Bus Tours for 2013. We will be contacting everyone who is on our mailing list later this year with our plans for 2013 and anyone else reading this who wants to come along with us next year should place a comment on this site, emailing us at outercirclebus@gmx.co.uk or call us on 07405 849192. This entry was posted in Historic Bus Tours, Outer Circle Bus Trips, Vintage Bus trips in 2012, Wythall Transport Museum and tagged 1950s Birmingham Corporation Double-Decker, Asthma UK, Birmingham, Birmingham Bus, Birmingham City Transport, Bus Tour, Charity, Guided Tour, Guy Arab IV, Historic Bus Tour, I want to sit upstairs at the front, Outer Circle, Outer Circle Bus, Photo by DJ Norton, Ride the Outer Circle, Sarehole Mill, Vintage Bus, Vintage Bus Trip, Wythall Transport Museum. Bookmark the permalink.